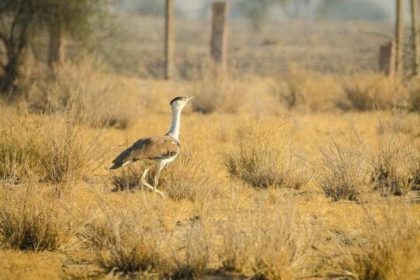 The Great Indian Bustard is one of the heaviest flying birds. Sadly, it is now on the endangered list as more and more of its habitat is disappearing. To read more about this magnificent bird, click here.